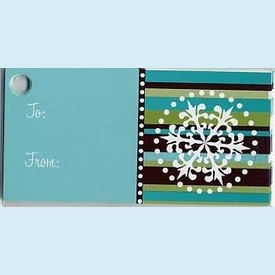 Cool blue and brown gift tags with a reverse snowflake design adds zest to your holiday gift wrapping. Hole-punched for easy ribbon threading. NOTE: Only 5 packages left! 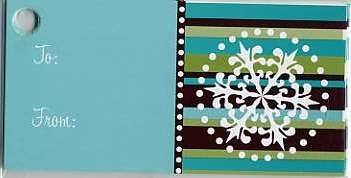 SIZE DIMENSIONS: 1.75" x 3.5"